Everyone wants to save a little bit of money and spend less when they’re out, but it’s often just about impossible to do. Most of the tips a person will find online are the same thing they’ve been doing for years and won’t make much of a difference. 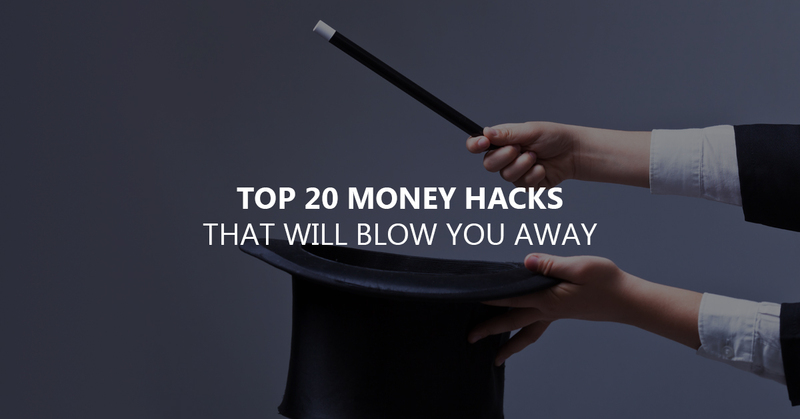 However, if a person is looking for a money hack that’s actually going to work and going to be something they can easily do, this list should help. Everyone has seen something in a store and made an impulse purchase. Instead, it’s a good idea to hold off and see if the item is still something they want in 30 days. Chances are, it’s not going to be something they need. Auto insurance, gym memberships, and others can all be discounted if the person looks in the right place. Check with a health insurance provider for discounts on gym memberships, for example. A person who tracks their money for 30 days will often see they’re spending quite a bit on things they don’t need. Track every expense for at least a month to see what can be cut back. When a person purchases a gift card they won’t use, they might sell it to get the cash instead. Typically, this will mean a little bit of a lower price than the amount the gift card is for, so it’s like getting a few bucks for free. A person who plans out their meals each week, even if it’s not an incredibly detailed plan, will often save quite a bit on their food costs. Instead of buying anything that looks good at the store, they can simply look for the foods on their list and skip all the extras. Debts acquire interest and the interest can add up quickly. Pay off debts as quickly as possible to avoid having to pay more. If a person has not been in an accident or had a ticket in a number of years, they may be eligible for a lower rate. A homeowner who installs a security system may be able to get a lower rate as well. If a person currently uses credit cards, they should make sure they’re using the right ones. Go for cards that cash back deals. If a person travels often, it’s wise to take advantage of sky miles. If they just want to save on the groceries each month, they can take advantage offers for a percent back on everyday purchases. The big box stores aren’t the only place to purchase something. Look around for deals before making any purchase to get it for the lowest price. Is the cable really necessary? Does the family really need to have every channel possible? Check often to see if there are any monthly expenses that can be dropped. It’s easy for a fraudulent purchase to be placed on a person’s card if they don’t pay attention. Check all statements at the end of the month to prevent this. Paying the credit card in full each month can save a person a significant amount on the interest rates. A person can save quite a bit without realizing it when they send over a smaller amount each week instead of once a month. Start with $20 a week and see how quickly it adds up, but how little of an effect it really has. Be on the lookout for large discounts on items that are purchased regularly. Instead of buying shoes when they’re in season, wait until they’re on clearance and pick up a pair extremely cheaply for the next year. Immediately toss catalogs that come in the mail or emails that are sent when a person signs up for a discount from an online retailer. Getting rid of them immediately means it’s less likely a person will spend money. That noise the car is making? If a person fixes it as soon as they notice the noise, it’s going to cost them a little at that time but it could be far more expensive if they delay until the car isn’t running well. Lowering the temperature by just a few degrees in the winter or raising it a few degrees in the summer can help significantly reduce a person’s energy bills. Being healthy can save thousands in medical bills over time. Make time each day to exercise and try to eat healthy whenever possible to reduce doctor’s visits and bills. Eating out, going to the movies, and even just grabbing a few drinks can add up quickly. Instead of going out, eat at home and snuggle on the couch to watch an old favorite movie. This can save $100 or more on a night out depending on what the person would normally do when they’re out. If a person plans their meals, another benefit is being able to plan around the sales. If chicken is on sale one week, purchase chicken instead of beef to save more money than just meal planning alone. Don’t try all of these at once. It can be a bit overwhelming. However, if you just pick one money hack, or maybe two, to try, you’ll start to see the difference and, once they’re a habit, you can easily add on more. Before long, you’ll see just how easy it can be for you to start saving money.